I was at the Westin hotel in KL which is surrounded by some of the most upscale malls in the city. I strolled down to The Pavilion mall, past a long line of bears painted by artists representing the countries of the world. This seemed to be part of some kind of global awareness event. The atrium was ablaze in red and gold with a large dragon snaking through the four floors. 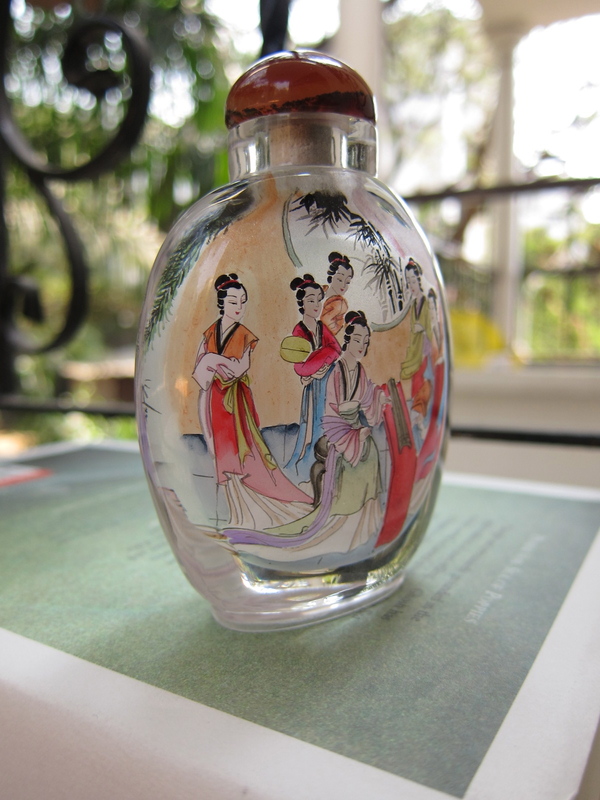 Several Chinese vendors show-cased Chinese artistry. 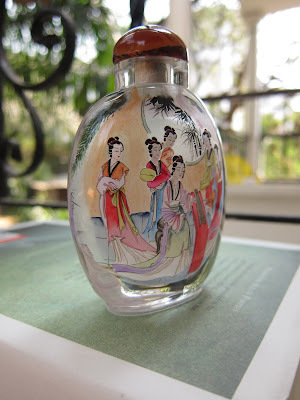 One that caught my eye immediately were the delicately painted snuff bottles. Unbelievable as it sounds, these bottles are hand-painted from the inside by painstakingly manipulating a bent brush through the narrow neck of the bottles. The bottles were expensive, but I had to buy myself one - and I did. This art-form was perfected by Chinese artists during the Qing dynasty several years ago and can still inspire awe. After this uniquely Malaysian ritual, I followed with a dish of steaming hot udon noodles tossed with black pepper sauce and red grouper. A dessert of Durian ice-cream topped with red bean paste in a pumpkin sauce made for a very different dessert experience. Incidentally, Durian is a seasonal fruit popular here which is notorious for its smell. I saw the term 'China Doll' bandied around in newspaper headlines and conversations - turns out they weren't referring to the delicate porcelain ones, but real girls. Apparently, there has been a influx of pretty girls from mainland China in massage parlors, hotels and other types of hospitality industries with the aim of finding sugar daddies from among local Chinese and rich expats. This has led to a public backlash from local conservatives and Chinese wives who are up in arms against what they see as lax immigration procedures.